I realize that when I hear the “Arthur” theme song in my head or I am fed up with potty humor, it is time for a little adult interaction. Some people have worked out this “balanced life thing”, but after almost 8 years…we are still working on it! I think we have a couple of hiccups that make it more challenging for us. One, is that we wait until we are close to the end of our parenting/work/home tightrope before we declare “time out.” I think we need to look at the calendar and plan dinners that would allow for a longer meal than 45 minutes with nonstop Mine Craft chatter. Challenge number two, is that we don’t have a particularly large village of people and we certainly don’t want to wear out those that enjoy my TBP by asking too often. So we continue to look for additional help, but seem to be the only family that can’t locate that “super great gal that totally gets my kid” person. The final deterrent really is my kid. He doesn’t seem to understand that sometimes grown ups want to just talk, listen, and think about grown up things. We want to go to a restaurant and not have to worry if the air conditioner will be too cold or the music will be too loud or the food will smell unpleasantly strong. My TBP seems shocked when we want to leave the house at all really. When we do return from an outing, he is so upset or just plain “off” that it almost isn’t worth it. As my son gets older, I hope that this improves. I hope that he gains other interests and is able to tolerate more sounds, smells or crowds. This would allow us to do some of the things that we are interested in without leaving him home. At this point, we hesitate to plan a trip to a new location because it is very likely that my son would be so uncomfortable that we would not be able to enjoy ourselves. So…we stick with our favorites that we know work well or with locations that are close to home. Now I know that this sounds like I’m complaining and after reading it back…I guess that I am. But I’m really wondering, how do other parents with intense children maintain the balancing act or do they feel like they are always walking a tightrope too? I feel the same way! I’m lucky that my parents live close by and that they are very good with our daughter but since my parents have this funny idea that they can have their own lives and are not at my beck-and-call sometimes I do get stuck. It can be tough, but I do know that I’m partly to blame. I have such a hard time leaving Lizzy with anyone but my parents or sometimes my sister. I get nervous just thinking about it! Lol! I need to work on this! Nice to know that I’m not the only one who deals with this. Thanks! I can relate! My middle child has autism and I find we stick to the familiar and comfortable. I have also learned that people can be surprisingly helpful and sometimes even accommodating at places if you call ahead and ask about the atmosphere and explain why. We can ask about the noise level, if there are flashing lights or not, what is a quiet time to go, etc. Places may be willing to turn down the music and with advance notice they can make sure to seat us away from sensory issues such as the A/C or the main server path, and even just having the staff aware can help avoid an issue. The promise of something HE wants to do after if he is pleasant and cooperative at the thing WE want to do can help too. But of course, sometime we do all we can and something sets him off anyways *sigh*. We went to a known restaurant but didn’t know that it would be crowded and louder than normal. I’m not going to lie, it was frustrating when we drove a long way to go there and then couldn’t stay. Just when I am feeling really frustrated, I remember how truly blessed that I am! It is my responsibility as an adult to solve the problem and ask for help when I need it! I was a much better parent before I had children. This gig is hard. Sending you big mama bear love. That’s so funny because I was too! So glad that I found you too! 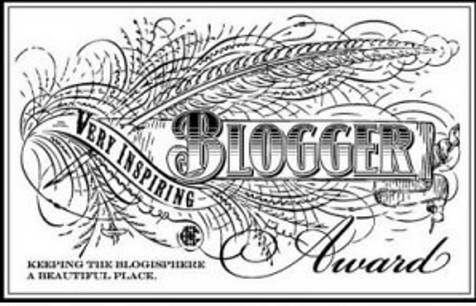 Before I entered the blogosphere, I did feel very along and isolated. I was jealous of the friends that had happy “normal” kids and their ability to go anywhere. This resonates with me for sure- the fine line between having a catharsis and “complaining” has been on my mind lately. We are of course grateful for our lives, our families, our children, but we are allowed to admit that we are burned out sometimes and need a break. I think you articulated that fact very well! You are not alone! I hope you visit again!